Every Learner Everywhere brings together 12 partner organizations to help colleges and universities navigate the rapidly evolving digital learning landscape. Read more about our partners below. Our mission is to help institutions use new technology to innovate teaching and learning, empower instructors, and improve student outcomes—especially for first-generation college students, low-income students, and students of color. Every Learner Everywhere will start by working with a small set of two-year and four-year institutions in three states—Texas, Ohio, and Florida—and then expand nationwide with plans to reach at least 200 institutions by 2022. This initial phase of our work will allow us to further develop and refine high-quality, field-tested resources and training. We are 12 partner organizations working toward a common mission. Tyton Partners is the leading provider of investment banking and strategy consulting services to the global knowledge sector. With offices in Boston, Stamford (CT), Chicago, and San Francisco, the firm has an experienced team of advisors who deliver a unique spectrum of services. From strategy and market development decision-support to mergers and acquisitions and capital markets access, Tyton helps institutions, companies, organizations, and investors navigate the complexities of the education, media, and information markets. Tyton Partners leverages a deep foundation of transactional and advisory experience and an unparalleled level of global relationships to make its clients’ aspirations a reality and catalyze innovation in the sector. Intentional Futures (iF) is a modern consultancy that solves hard problems by combining actionable insights with imaginative solutions. iF works with courageous leaders to turn their vision into reality. The company is made up of skilled generalists who excel at learning rapidly and bringing insights and perspectives from a wide range of categories, including education, technology, healthcare, and the social sector.  EDUCAUSE is a nonprofit association that strengthens higher education through technology innovation. EDUCAUSE is a community of IT leaders and other technology professionals working together to tackle challenges and leverage opportunities that are constantly evolving within higher education. Our organization welcomes diversity, in viewpoints and experience, and believes in the transformative power of uncommon thinking for the common good. EDUCAUSE supports those who lead, manage, deploy, and use technology to advance higher education. The Association of Public and Land-grant Universities (APLU) is a research, policy, and advocacy organization representing 238 public research universities, land-grant institutions, state university systems, and affiliated organizations. Founded in 1887, the APLU is North America’s oldest higher-education association with member institutions in all 50 U.S. states, the District of Columbia, four U.S. territories, Canada, and Mexico. Annually, member campuses enroll 4.8 million undergraduates and 1.3 million graduate students, award 1.3 million degrees, employ 1.3 million faculty and staff, and conduct $44.9 billion in university-based research. Achieving the Dream (ATD) leads a growing network of more than 220 community colleges committed to helping their students, particularly low-income students and students of color, achieve their goals for academic success, personal growth, and economic opportunity. ATD is making progress in closing academic achievement gaps and accelerating student success through a unique change process that builds each college’s institutional capacities in seven essential areas. ATD, along with nearly 75 experienced coaches and advisors, works closely with network colleges in 41 states and the District of Columbia to reach more than four million community college students. The Digital Learning Research Network (dLRN) connects researchers and educators to close the gap between research and practice. The participating researchers are leaders in innovative pedagogical approaches that will have important implications for the future of higher education, particularly for underrepresented learners and institutions that are making the transition to digital learning. dLRN’s work includes identifying commonalities between research capacities and institutional needs, partnering Tier 1 researchers with participating state systems, and collaborating to develop appropriate, high-impact solutions. Digital Promise was created with the mission of accelerating innovation in education to improve opportunities to learn. American education has pockets of excellence that outshine the best of the best around the world. All across the country, innovative education leaders and classroom instructors are engaging, motivating, and nurturing students to develop mindsets for lifelong learning. And yet, huge gaps exist between the learning outcomes, graduation rates, and college readiness of students based on race, class, and where they live. Digital Promise's vision is that all people at every stage of their lives have access to inspiring and effective learning experiences that help them acquire the knowledge and skills they need to thrive and continuously learn in an ever-changing world. To achieve this vision, Digital Promise creates partnerships between institutions, researchers, and technology developers. Because when everyone has equitable access to high-quality learning opportunities, when everyone participates, and when everyone learns, we all benefit from a more engaged, informed and just society. 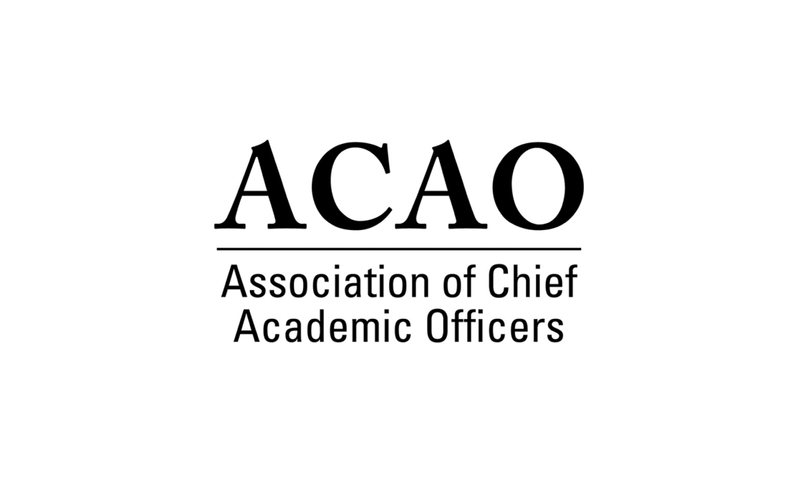 The mission of the Association of Chief Academic Officers (ACAO) is to provide a global forum for sharing best practices, discussing current academic issues, and promoting the educational interests of member institutions and their Chief Academic Officers (CAOs). ACAO was formed in 2013 with the help of the American Council on Education (ACE) in order to support the expanding role of the CAO on most campuses. In 2014, ACAO became an independent nonprofit, whose annual meeting and programming continues to be coordinated with ACE. ACAO now includes more than 100 institutions whose members work to enhance the effectiveness of CAOs through networking and professional development opportunities and by engaging in conversations focused on issues that cut across the diversity of higher education institutions and missions. A major focus for the past two years has been on the launching and development of the ACAO Digital Fellows Program that provides a support network for CAOs to pilot digital adaptive courseware on their campuses. Every Learner Everywhere is supported by the Western Interstate Commission for Higher Education (WICHE) and WICHE Cooperative for Educational Technologies (WCET), and WCET is pleased to serve as Every Learner's intermediary organization. WCET is the leader in the practice, policy, and advocacy of technology-enhanced learning in higher education. WCET is a national, member-driven, non-profit that brings together colleges and universities, higher education organizations, and companies to collectively improve the quality and reach of technology-enhanced learning programs. As a news and media company that reports and shares stories on educational innovation and technology, EdSurge aims to connect audiences who share common goals to improve teaching and learning. EdSurge shares detailed information about what emerging technologies can—and cannot—do to support learning among students in grades K–12 and in higher education. Along with sharing news, trends, and research, EdSurge connects people through its jobs board and through networking events, including virtual and live workshops and conferences. Their database of rich information about emerging products, both in K–12 and in higher education, continues to be the go-to source for the industry. With the right tools, technology can transform learning from something done in classrooms at fixed hours of the day to something done anywhere and anytime. The Online Learning Consortium (OLC) is a collaborative community of higher education leaders and innovators dedicated to advancing quality digital teaching and learning experiences designed to reach and engage the modern learner—anyone, anywhere, anytime. OLC inspires innovation and quality through an extensive set of resources, including best-practice publications, quality benchmarking, leading-edge instruction, community-driven conferences, practitioner-based and empirical research, and expert guidance. The growing OLC community includes faculty members, administrators, trainers, instructional designers, and other learning professionals, as well as educational institutions, professional societies, and corporate enterprises.